Peninsular Malaysia East Coast had suffered disastrous flood in the end of 2014. There are plenty out there needed our help who are not affect by the serious flood. Just hope try to do our best to help be it at manpower, word of mouth, or monetary donation. Below are the message and picture shared in Facebook post (click here) request for help on donation to the affected primary school. Man, the water level mark is crazy high! Kelantan was badly affected by flood disaster on 23rd to 27th, Dec 2014. 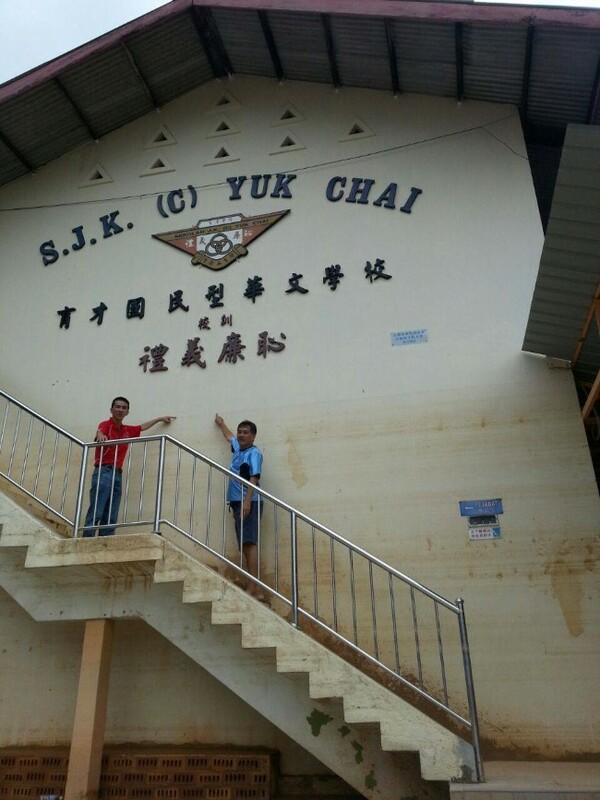 SJKC Yuk Chai, situated at Kuala Krai, Kelantan is among the worst affected, where the ground floor was totally submerged and water raised up to 2 feet on the first floor, 184 sets of table and chair damaged, 40 units of newly installed computer in December which is hard work of fun raising by PIBG in August 2014, 8 units of LCD projector & visualizer sponsored by donor, 2 computer rooms, pupils’ exercise books, metal cupboards, book racks, black and white boards, classroom doors damaged during flood, school faced big losses; we sincerely hope public can help in term of financial, giving hand and donate the material and items to rebuild SJKC Yuk Chai, your kind contribution surely will cheer up the pupils and Yuk Chai community.